Product code: 1102 Categories: Sold Items, Sold Rings. 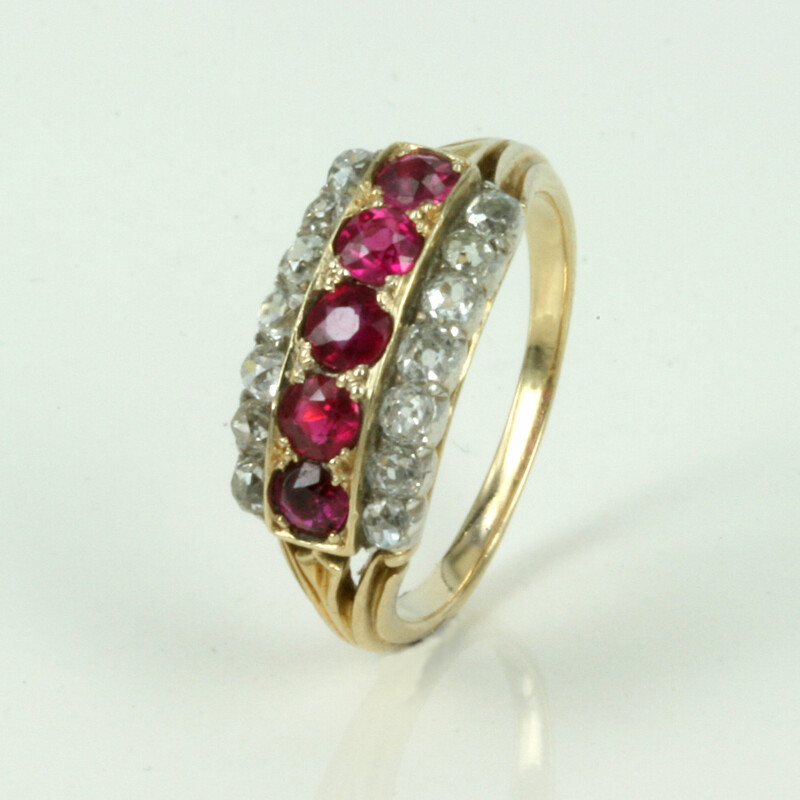 This antique Victorian era ruby and diamond ring is so elegant and stylish on the finger. Made in the 1880’s, this ring is set with 5 very nice natural rubies, each weighing approximately 0.25 carats each, making a wonderful spread across the finger. To highlight both the rubies and the gold, 7 old cut diamonds are set on each side, and the total weight of the diamonds is 0.56 carats. This ring looks simply amazing all on its own, with the red from the rubies and the sparkle of the 2 rows of diamonds, this antique ruby and diamond ring will be admired by all who see it.